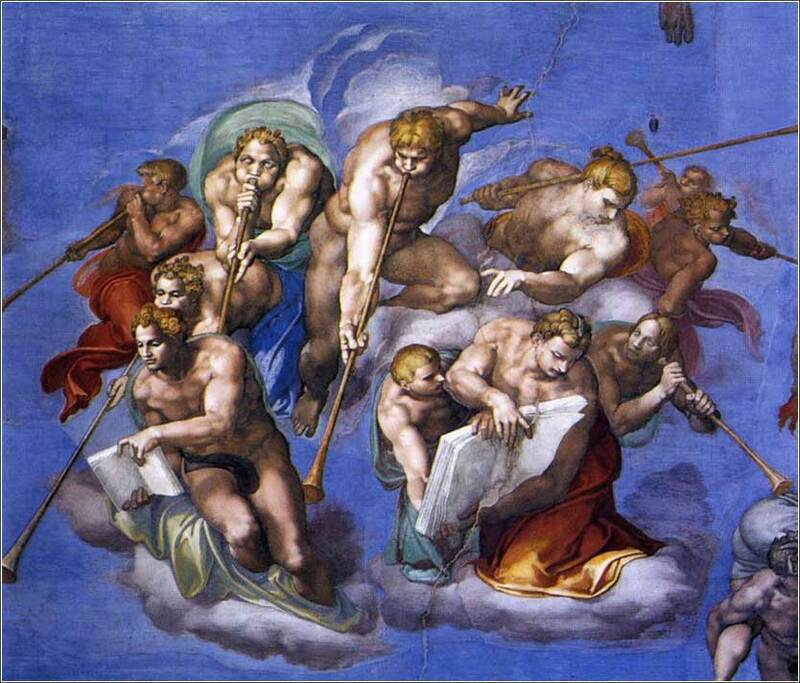 The Last Judgment by Michelangelo (detail), ca. 1541. 182 people in our community are currently praying with you. There is no problem too big God cannot solve it. There is no mountain too tall He cannot move it. And there is no storm too dark God cannot calm it. There is no sorrow too deep He cannot soothe it. I know my brother that He will carry you. I know my sister that He will carry you. He said, "Come unto Me all who are weary, and I will give you rest." That He, He’s going to carry you. He’s going to carry you. Holy God, I pray that today the love I show to my fellow man will not be a sham, but fashioned in a sincere heart. May your Holy Spirit be powerful in me, blinding me to annoyances and putting aside selfish greed, so that I may lift up the people I meet, showing them warm affection and leaving them filled with good spirits and confidence. If they are sorrowful, lead me to console them. If they are lost, let me show them the path. Help me always to seek after good rather than evil, and to display, for the whole world to see, the miracle you have worked in my soul. by Mason Barge, April 2014. Almighty God, who does freely pardon all who repent and turn to Him, now fulfill in my contrite heart the promise of redeeming grace; forgiving all my sins, and cleansing me from an evil conscience; through the perfect sacrifice of Christ Jesus our Lord. And turn my heart to your will at every moment, I pray. The Recording Angels by Sidney Harold Meteyard, ca. 1910. 15 This we tell you as the Word of the Lord, that when the Lord comes, we the living who have been left behind to await Him, will certainly not go ahead of those who have fallen asleep. 16 The Lord Himself, with a great cry in the voice of an archangel and the trumpet of God, will descend from Heaven, and the dead in Christ will rise up first. 17 Then those of us who remain, still alive, will be taken up into the clouds to meet the Lord in the air, together with them; and thus we will be with the Lord forever. 18 So, comfort one another in this knowledge. 17 then we the being-left-behind living together with them will be snatched up in clouds to meeting 10Meeting is a true noun, “act of meeting with”. of the lord in air; and thus forever with lord we will be. 18 Therefore comfort one another in the words these. v15 - 8 Idiom, definitely not, an emphatic negative. v16 - 9 Or at. v17 – 10 meeting is a noun, “act of meeting with”. Some critics of Christianity, especially the grotesque atheist “professors of religion” in universities, claim that Paul knew nothing about the life or teachings of Jesus and had a theology divorced from, and often contradictory to, the teachings of Christ. We will, during the course of studying Paul's epistles, examine this issue closely. And we will start today: For here, in the very first letter Paul wrote, we see evidence to the contrary. Somehow, the details Paul gives of the Second Coming in 1 Thessalonians are remarkably consistent with the words of Christ, which were reported independently by Matthew some years later. Atheist scholars — and when we hear the term “the historical Jesus”, we know we are listening to one of these fools — try to show that Paul could not have read a gospel before he began preaching, by tracing missing documents and making up dates and creating scenarios. But, since their spirits are dead, they cannot face the actual truth: Paul received information first-hand, from Christ Himself. Christ's “direct revelation” to Paul is recounted in Acts 9 and throughout Paul's epistles. Paul's focus is on an issue that is not addressed in the Gospels we have — specific facts about how the dead and living will be raised — so his overlap with Matthew is incidental. His purpose is to comfort to the Thessalonians about God's love for those who had died. As discussed yesterday, when Paul and his companions were run out of Macedonia, the young Thessalonian Christians were left without any writings or a knowledgeable teacher to answer their questions or give them guidance. Because they expected Christ to return any day, and sweep them up while they were alive, they became most concerned about those who died. This section of 1 Thessalonians informed them and comforted them. Paul's words live on today. One might take this completely literally, or give some room for metaphorical understanding of an event we cannot grasp, such as whether there will be actual trumpets or instead a great sound similar to a trumpet. But it is critical to Christian faith that we draw strict limits on understanding any Biblical passage as metaphorical. The Greek philosophers understood the accounts of their gods as metaphor and myth; and much of modern theology has headed down the same logical cul-de-sac.